Home / Exactlly ERP / Do Small and Medium Businesses Really Need ERP Software? There are a number of reasons why small and medium sized businesses try to avoid investing in ERP. One of the biggest reasons is that they feel they are still not ready to invest in ERP. The arguments could be many. People probably told SMB owners that ERP is only meant for large companies with multi-million turnover. SMB owners also probably feel complacent and are OK with the idea of using small and stripped-down accounting software which don't really do anything in terms of more complex business processes. Yet, the fact that stripped-down business software programs are cheap and easy to use remains the biggest lure. Unfortunately, SMBs which think this way are very wrong. 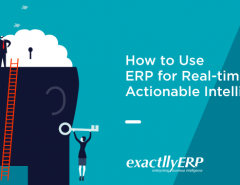 It is becoming increasingly clear that investing in an ERP right from the outset is a better idea than choosing to use simple and basic accounting software programs and then, when things begin to go wrong, attempt to invest in ERP. This path involves lost opportunities, reduced efficiency, and considerable damage to a company's productivity and workflow. Here are a few reasons why small and medium sized businesses really need ERP. ERP's chief function is to record, maintain and make accessible critical master data related to services, products, vendors and customers. It also weaves in information related to bill of materials, assets, manufacturing and other typical business processes. A simple accounting software will just do that. It will not put together all this information into a single cohesive software program. In the quest to find cheaper and stripped-down software programs, you will end up using a number of software programs for all the above mentioned business processes. The result is, you will continue to be inefficient right from the outset. An ERP puts together all the important information and data from critical sources such as invoicing, production, financials, manufacturing, human resources, sales, marketing, warehousing, inventories, shipments and deliveries and others. It makes it easy for you to monitor all this in real time, while being able to draw conclusions and making inferences. Simple software programs do not have the ability to interact with each other because they are not designed to do these things. Investing in an ERP even when you are a tiny business will help you to proof yourself against future growth and possible challenges that come along with such growth. Whether labor costs or material costs, you will end up saving a lot of many when you use ERP. Orders will not go missing and shipments will be delivered in time, ensuring that bills are paid in time as well. As much of the data entry, data accessing and making analyses are automated, you will not have to pay salaries to redundant job positions. You could reduce your workforce and invest that money in something that is more useful: for instance, growing your business further. Moreover, when you automate business processes, you will not waste raw materials or let go off important opportunities. All these will add up to boosting your long term earnings. Even if you are a small company with just a couple of employees, think about your future. Do you really want to remain a mom & pop business with no future or growth outlooks? There is nothing wrong in remaining so and a lot of people are content with remaining small. However, most businesses do grow and increase in size and stature. 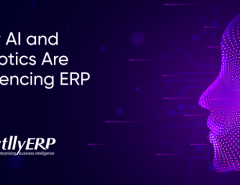 This is one of the reasons why you should choose an ERP, in order to handle the burden of data and enhance your business processes. Automation will free up a lot of resources in terms of money and time. These resources can be used on your own personal needs, whether taking a long holiday or indulging your loved ones. In other words, ERP helps your business with its scalability. One of the biggest problems that small businesses face is they cannot remain consistent across business processes. Data somehow goes haywire and it is difficult to bring order into all these different software programs. These standalone software programs are just not designed in a way with which they can collaborate with other software programs. This creates chaos and confusion within business processes and leads to inefficiency and loss of productivity. 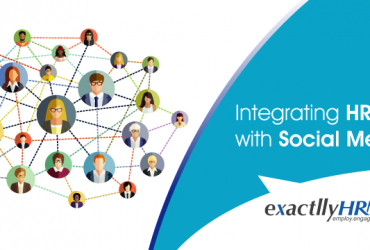 ERP helps to bring together all these different business processes and enable you to remain consistent across departments and processes. 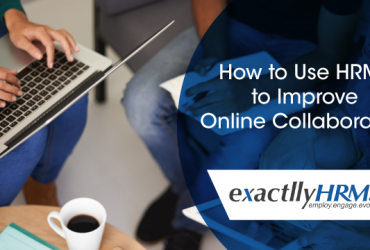 One of the biggest reasons why small and medium sized businesses hesitate to use any sort of automation software at all is because they feel it is not their cup of coffee. They feel their business is very different and an ERP that is geared towards others will not make any sense in their field. On the other hand, ERP can actually be customized to suit every type of business and organization. This will ensure that no company will be left feeling as if they are using something that they didn't need. 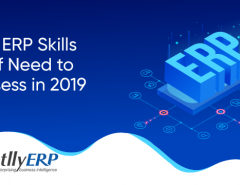 In reality, ERP should be customized to each business and will help that company to grow in size and stature, while reducing financial and time-related costs. If you have been harboring the idea that ERP is only for larger companies, you need to alter your way of thinking. ERP is used by small, medium and large companies regardless of the kind of business they are into. It is used to enhance and streamline business processes and to automate whatever can be automated. It reduces your dependence on employees and will free up valuable resources. All this helps you to reduce costs in the long term and you will be able to boost your productivity, no matter how small you are at the moment. At the end of the day, SMB owners just need to decide when they would like to start getting more productive. Even if SMBs do not have any plans of expanding their business, ERP works just well to enhance efficiency and productivity.